Africa Top Level Domains Organization (AFTLD) is the association of country code top level domain registry (ccTLD) managers in the Africa region. 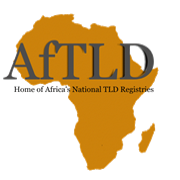 The main objective of AfTLD is to help African ccTLD managers discuss issues regarding the management of ccTLDs. AFTLD also presents a common position arrived at by African ccTLDs on key global issues in the Domain Name System (DNS) industry at the global level. AfTLD is recognized as the representative of country code Top Level Domain (ccTLD) managers from the Africa region by ICANN and other related global organizations. It is an active participant in the ICANN ccNSO, and also actively participates in various Internet governance fora, including the IGF, where it has run a number of workshops..
AfTLD works in collaboration and in partnership with other Regional Top Level Domain Organizations (RTLDOs), that is APTLD, CENTR and LACTLD. AfTLD is an observer to the European ccTLD association (CENTR). It regularly works in partnership with other common interest organizations, including ISOC and NSRC. AfTLD works with and is recognized by many African governments shown by the support it receives from them when it organizes its events in the country. In addition to its separate topic-specific capacity building events, AfTLD holds an annual conference and AGM. Its training workshops are run in both English and French, and is held in various locations across the continent. AfTLD carries out its work program through a secretariat located in Nairobi (Kenya), and has several working groups (WGs). These WGs include a Technical WG, which drives the technical training program, the Research WG, which drives AfTLD’s research program, the Strategy WG which drives the overall corporate strategy of AfTLD, the meetings working group which organizes member meetings and workshops, the IDN working group which discusses Internationalized Domain Names and the Constitutional review working group which continuously reviews the AFTLD Constitution. Facilitating communication and collaboration among African ccTLD and TLD registries through innovation, capacity building, networking and partnerships with national, regional and international stakeholders in an inclusive manner. To represent, co-ordinate and promote development of all ccTLD and other TLD registries in Africa by 2022. Represent the interests of African ccTLDs, including the neighboring islands around the African continent. Promote communication and cooperation between ccTLDs' managers . Inform the African Internet community about the ICANN process, IANA and World ccTLD Community through an awareness and outreach program . Provide a common address where information about African ccTLD's can be obtained. Assist in Africa Internet & DNS Related Technologies Capacity Building Development of Africa ccTLDs Policies, administration and Technical Infrastructure.